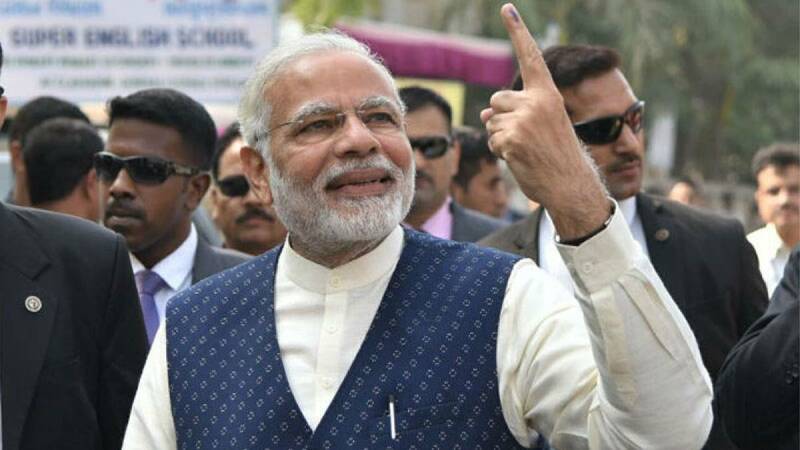 New Delhi : Prime Minister Narendra Modi on Monday said the "impressive victories" in Gujarat and Himachal Pradesh showed there was strong support for the "politics of good governance and development". "Election results in Gujarat and Himachal Pradesh indicate a strong support for politics of good governance and development. I salute the hardworking BJP karyakartas (workers) in these states for their hard work which has led to these impressive victories," Modi tweeted. "I bow to the people of Gujarat and Himachal Pradesh for their affection and trust in BJP. I assure them that we will leave no stone unturned in furthering the development journey of these states and serve the people tirelessly," he added. According to counting trends, the Bharatiya Janata Party is headed for victory in both states.